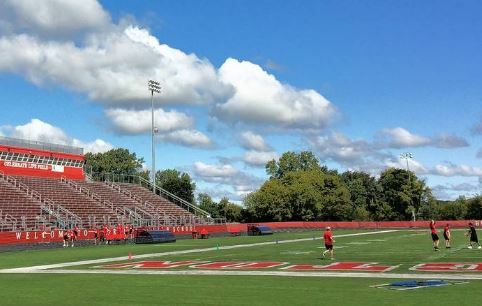 Barrington High School’s stadium could receive a new artificial turf surface before the 2019-20 school year at a price lower than initially projected. The high school’s current turf, installed in 2008, is nearing the end of its life, according to Barrington Area Unit District 220 officials. The District 220 board next week is expected to vote on a proposal to install a new surface from FieldTurf USA Inc., which handled the original 11 years ago. Board member Joseph Ruffolo, a member of the advisory facilities committee, said officials have been prepared to spend nearly $800,000 for the replacement surface. But now, with a likely credit from FieldTurf for reusing current material, the bill isn’t projected to exceed $700,000. “We got a better deal than we thought we were going to get,” Ruffolo said during a facilities committee session this week (Editorial note: Isn’t it amazing how things work? ).